When considering a visit to Europe, some might become overwhelmed with the endless options when it comes to finding the best places to visit and the huge variety between countries. While hitting up Europe’s capital cities like London, Paris, Prague, or Rome, it’s always a great idea to include a few, smaller, picturesque towns, but finding these pretty little towns can feel like finding a needle in a haystack. 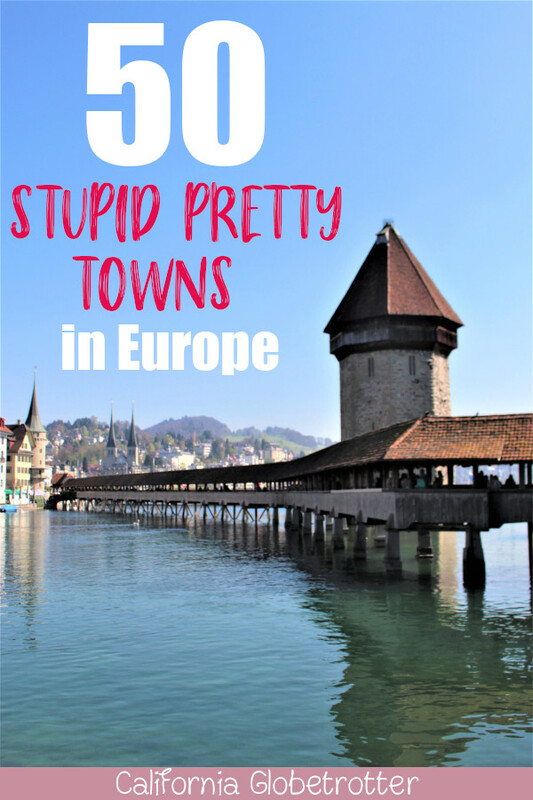 So, I’ve gathered 50+ small cities and cute towns in Europe that are just downright STUPID PRETTY! 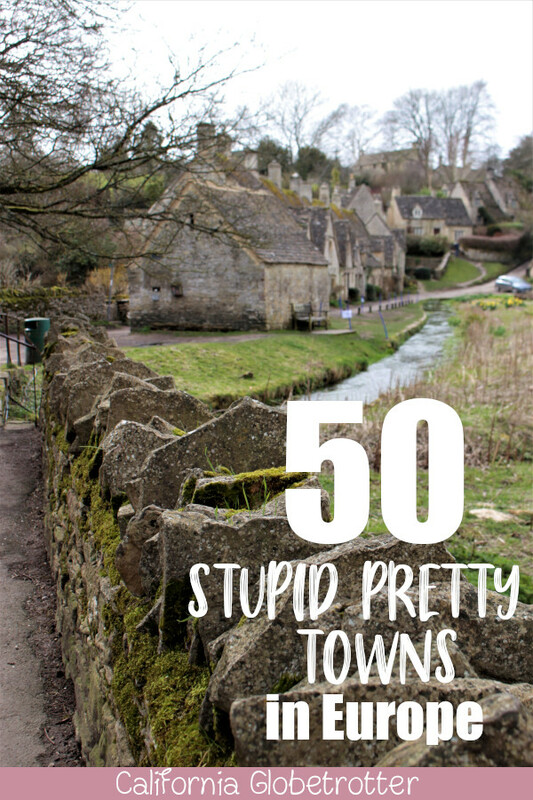 Like Stupid Pretty Towns? PIN IT FOR LATER!! Now, please forgive me as not allllll of Europe is included in this post as obviously one can only travel so much, but as I continue to travel, this list will continue to grow. But I do share with you many of the best small towns in Eastern Europe, Western Europe and the Balkans, so it should be enough to get you twitching to buy that next airline ticket! Alternating Swiss and Appenzeller flags line the bridge welcoming you to Switzerland’s most colorful village, Appenzell. Lavishly painted with elaborate patterns and vibrant rainbow colored houses one after the other, the town smells of its famous Appenzeller cheese and cute Swiss cows munch away just in the distance and a soft clinging of bells can be heard. The main street is lined with a few tourist shops, cafes and restaurants while gnomes have invaded a corner of town. And just a few minutes drive away is the world’s most beautiful restaurant with a short cable car ride up the Ebenalp and a pleasant little hike down to the Aescher. Huddled behind a 14th century medieval wall lies the pretty little half-timbered town of Bacharach. 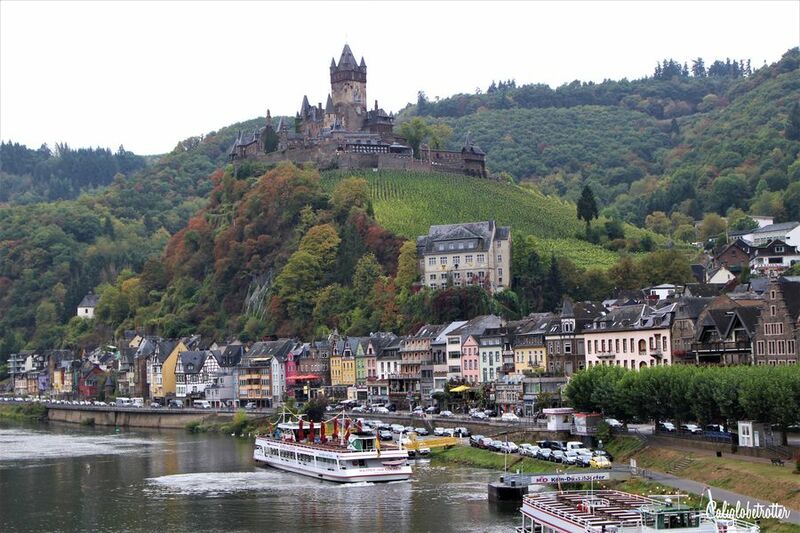 Considered to be one of the most popular towns along the Rhine River, the town sits at the base of rolling hills lined with vines topped with Burg Stahleck. Strolling any of the cobbled-stoned alleys in any which direction and you’ll be lead to quirky little corners or streets strung with a string of lights. 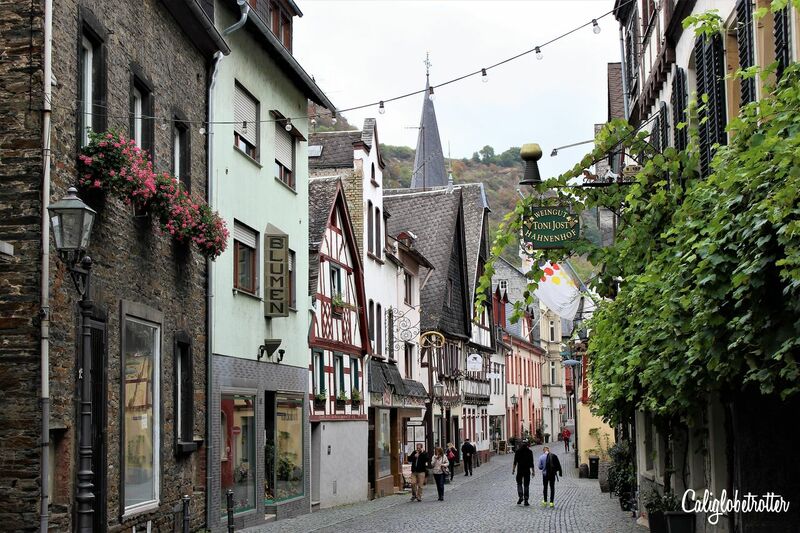 Come here for the architecture or come here for the Riesling Ice Cream, but whatever the choice, there is no wrong choice to visit Bacharach! Located at the foot of the Swabian Alps in Baden-Württemburg is yet another one of Germany’s half-timbered towns. Bad Urach isn’t exactly one of Germany’s most visited towns, but it’s cute enough for a quick peak when perhaps driving from Ulm to Tübingen, or as an extra side trip from Schloss Lichtenstein. 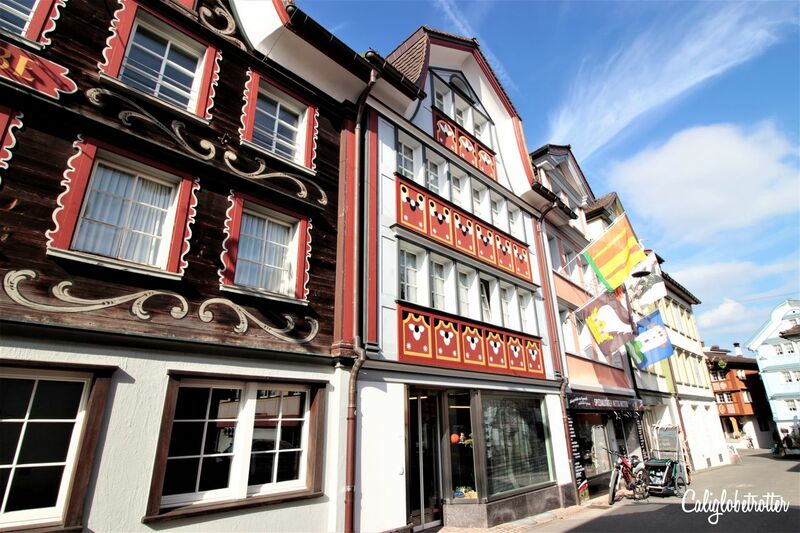 While known for its therapeutic baths, the main attraction here is the town’s beautiful half-timbered city hall. 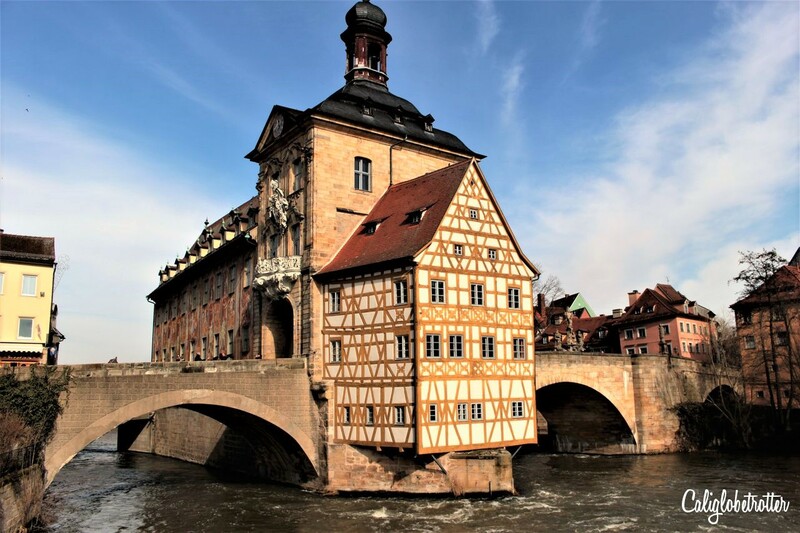 History has been kind to Bamberg, not just once, but twice – sparing it from destruction during the Thirty Years’ War and the Second World War, therefore, preserving its medieval appearance. Oozing with charm over seven rolling rills, one of the main attractions of Bamberg is the unique half-timbered Rathaus (city hall) located on an island in the middle of the River Regnitz. What was once used as Fisherman’s Cottages is now an adorably picturesque part of Bamberg known as “Little Venice”just opposite the bridge. 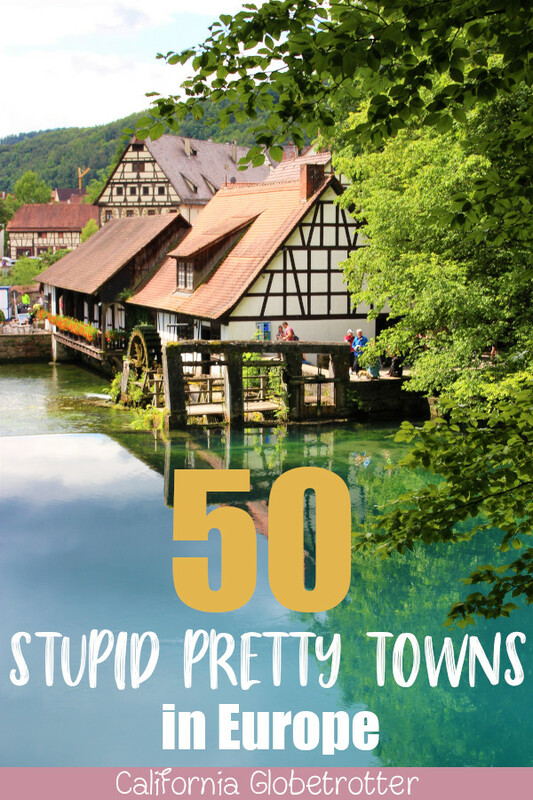 It just doesn’t get more stupid pretty than one of Bavaria’s top destinations! England is scattered with beautiful cities, but few compare to the elegance of Bath, lined with some of the country’s grandest Georgian buildings and home to the world famous Roman Bathhouses. 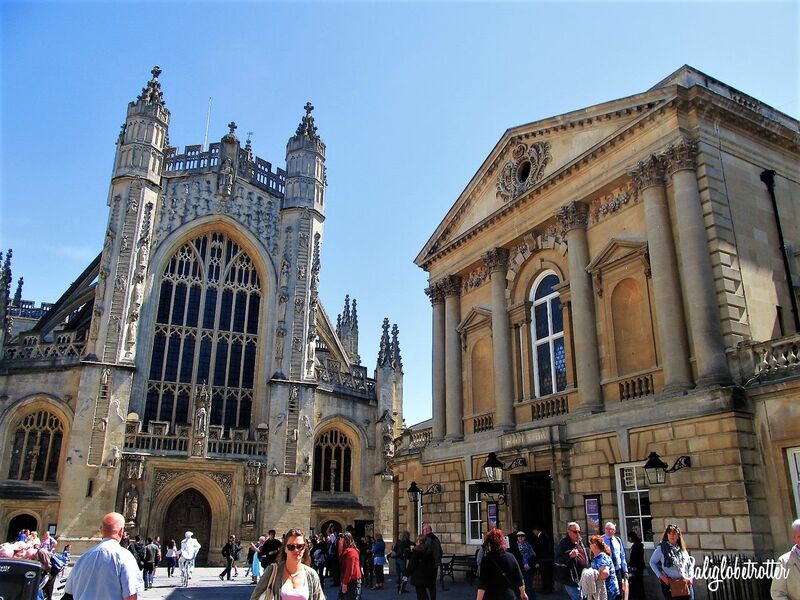 From the town center dominated by the glorious Bath Abbey to up on the hill at the Circus or Royal Cresent, you’ll be wondering how such a sophisticated place could have been designed during the 18th century to perfection. If ever there was a town in the Cotswolds that was beyond the words of “quaintest village in England”, then without a doubt Bibury would fill that roll. Touted as the most photographed village in England, Bibury is renowned for it’s simple but charming row of 14th century cottages known as Arlington Row. Originally built as a wool store, they were later converted to cottages in the 17th century and were loved so much by Henry Ford that even he wanted to buy them and transport them back to America. Thank god THAT didn’t happen! 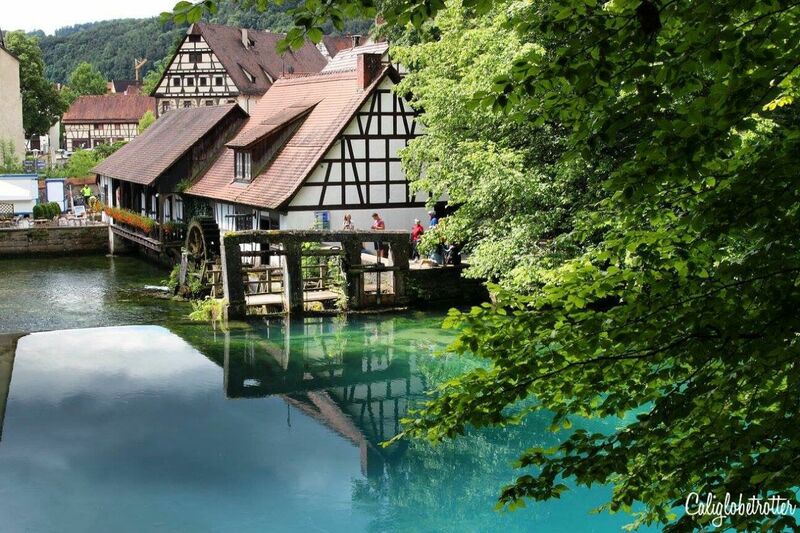 A town few have heard of, but an easy day trip from Ulm is the quintessential half-timbered town of Blaubeuren. Most famous as being the source of the tributary Blau River which later joins the Danube, the Blautopf is a whimsical setting unlike any other. Straight out of a fairy tale book, a charming timber-frame house with a water wheel sits next to the Blautopf surrounded by forestry and the vibrant turquoise waters of the tributary. Considered to be one of the most picturesque towns in Europe, Bruges is the epitome of charm and a great alternative to Paris, France. The capital of West Flanders, Bruges is one of many towns nicknamed “the Venice of the North” for its ridiculously charming canals and beautiful brick architecture and ornate houses. 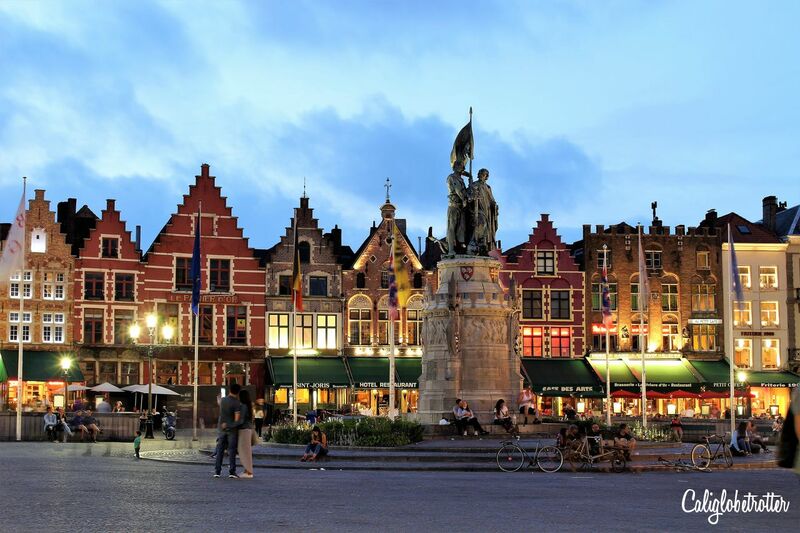 The Grote Markt is dominated by the Belfort Tower and the extravagant medieval building, the Stadhuis (city hall) and a line of horse carriages awaits tourists looking to add that magical charm to an already magical town! 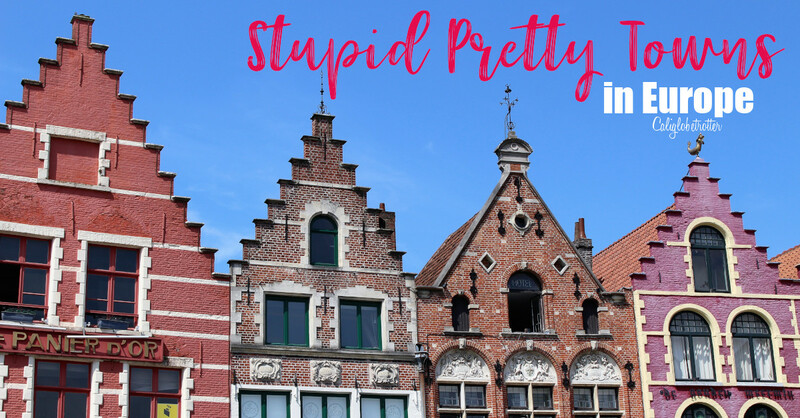 Sightseeing in Bruges is one town you will never get bored of exploring! Located along the Budva Rivieria, Budva was one of the last Venetian outposts along the Adriatic and is a great alternative to Kotor. 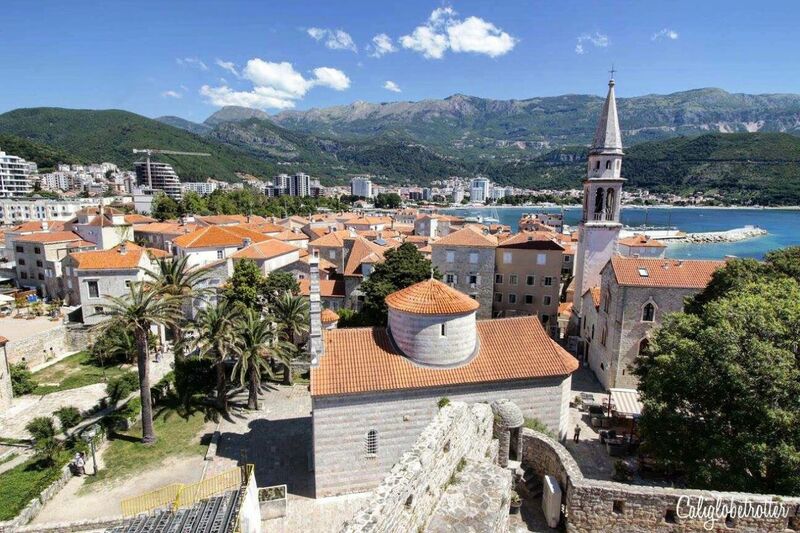 Still encircled by fortress walls, a day trip to Budva will provide you with many things to do from the Budva Old Town Beach to exploring the fortress walls. Trust me when I say, Budva is one of the best places to visit in Montenegro and one should definitely add it to their Balkan itinerary! 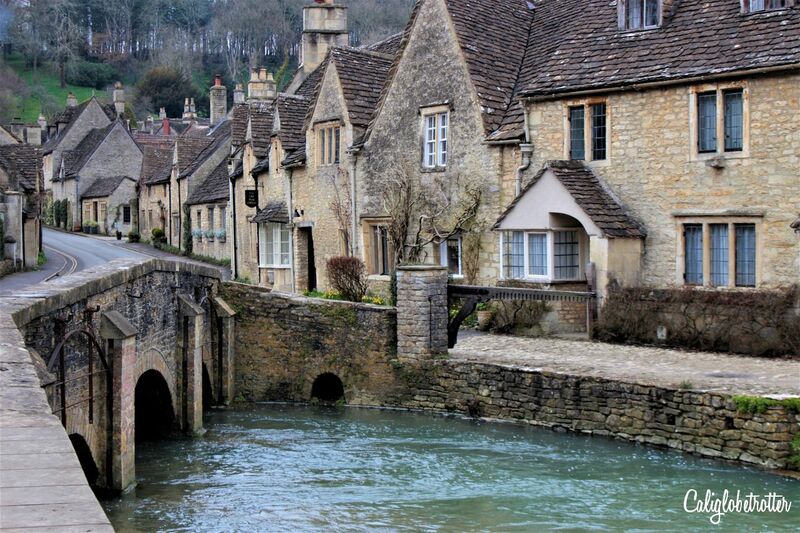 If ever there was a movie set-like town in England, it would be Castle Combe, the Cotswolds’s prettiest village giving Bibury a run for its title. In fact, the town looks so much like a film set that it has been featured in several films, most famously Stardust and War Horse. Honey-colored cottages dot this charming town while a small river gently flows through. In the center of town, you can still find an old mounting stone, you know, just in case you came by unicorn! If you’re looking for a unique day trip from Prague, then taking a peak at Ceske Budejovice would be a great option! While it’s not exactly picture perfect around every corner, the main square is a rainbow of color! And there will be many picturesque moments, as it’s also the largest main square in Europe, best seen by climbing the nearby Black Tower. The main attraction in Ceske Budejovice though is the Town Hall, unique in it’s appearance. One of the best day trips from Prague is without a doubt the medieval town of Cesky Krumlov which luckily survived WWII with no damage whatsoever, thus preserving its historic appearance. 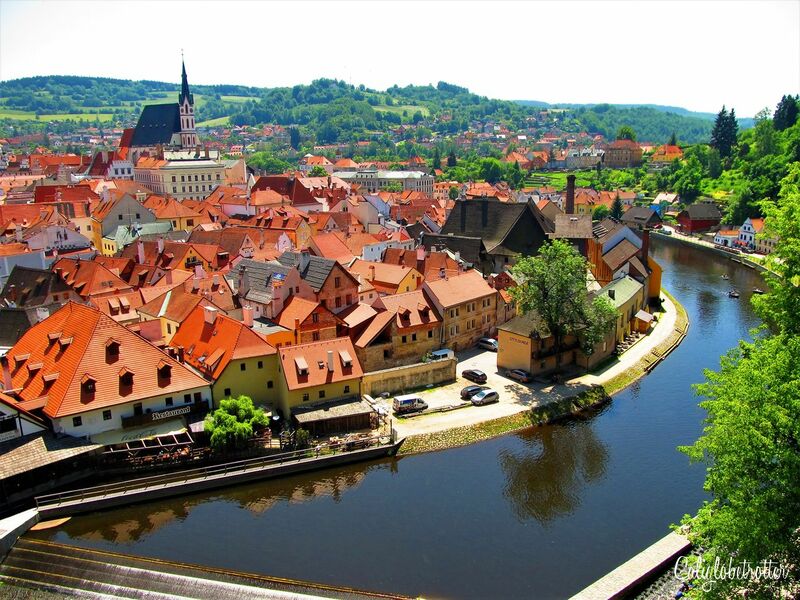 Perched on the hill overlooking the entire town is one of the largest castles in the Czech Republic with absolutely stunning views over this red roofed town located on the bend of the river Vltava! For yet another stunning view over one of Europe’s best medieval towns, climb the “Wedding Cake” Tower, or at least enjoy it from a canoe on the river! Often ranked as some of the most beautiful small towns in Europe, the cluster of five towns, Riomaggoire, Manarola, Corniglia, Vernazza and Monterosso al Mare make up Cinque Terre. 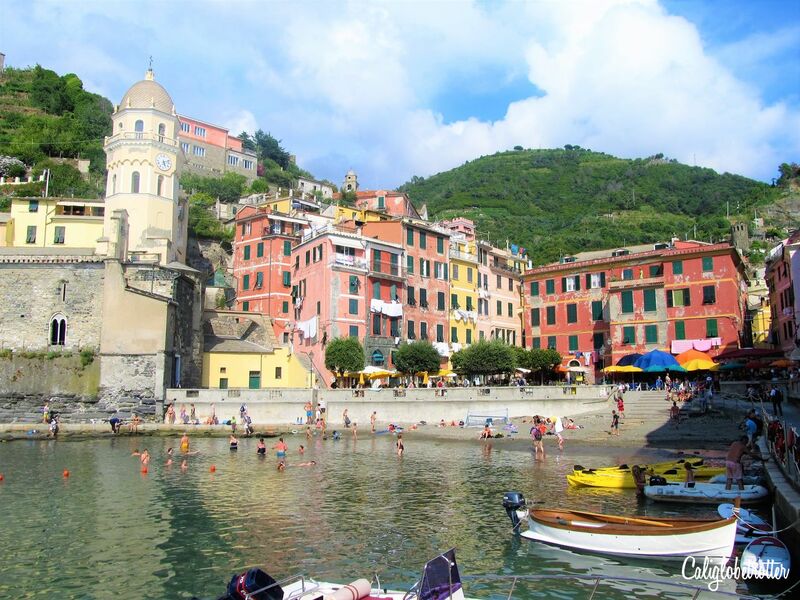 Located along the coast of Italy on the Ligurian Sea, they are some of the most picturesque towns in Italy attracting thousands of travelers a year. Whether you’re looking to hike Cinque Terre from one village to the next or lay on the beach, Cinque Terre is so popular that Italy has to put a cap on the number of visitors per year! Straddling both sides of the Mosel River not far from Koblenz in a valley of lush green vineyards topped by a Romanesque castle is one of Germany’s loveliest small towns. Cochem is one of the most underrated towns in Germany, but with the Reichsburg Castle, half-timbered houses and sweet cobbled-stoned alleys, it’s definitely worth a visit. Come here for the wine or come here for the castle, either way it’s one of the best day trips from Frankfurt! Located in the Alsace region of France, Colmar is one of France’s most colorful towns. 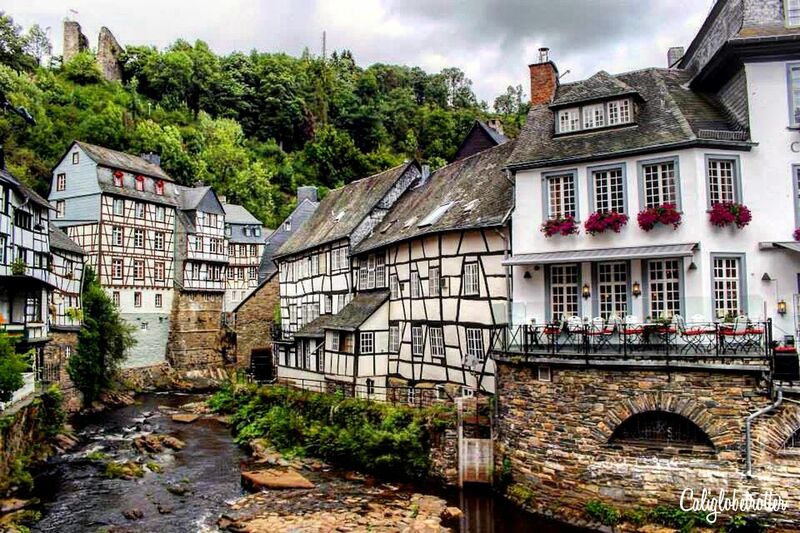 For much of history, the town ping-ponged back and forth between Germany and France and, therefore, much of its adorable architectural style has been influenced by both countries. Often ranked as one of the most beautiful towns in Europe, it’s half-timbered houses scattered throughout the town and canals make this town one of the best small towns in France. A canal boat tour through the charming quarter of town known as “Little Venice” is an absolute must! One of three towns with Medieval walls in Germany which still completely encircle the town, Dinkelsbühl is one of the main cities to visit on the Romantic Road. This half-timbered town is one of a few German towns that survived WWII with little to no damage, thus preserving its unique size and shape. A sign welcomes you to “the most beautiful town in Germany” easily giving Rothenburg ob der Tauber a run for the title. 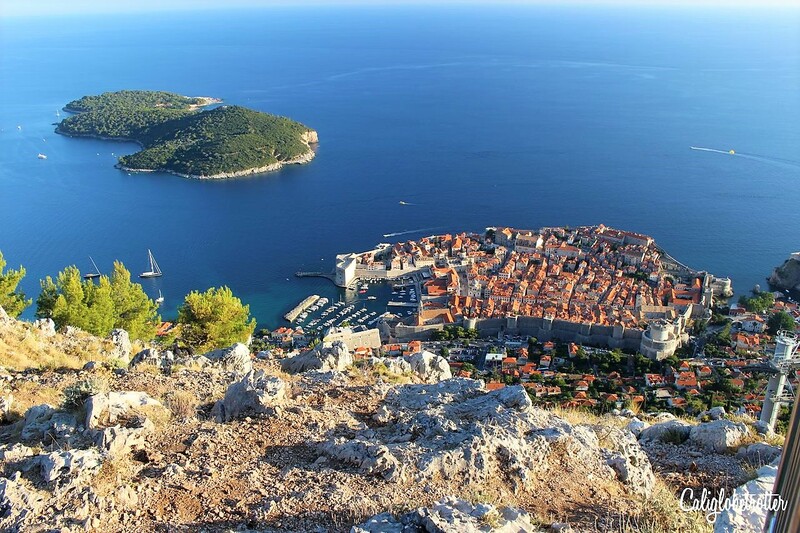 In the last decade, Croatia has become the best new summer destination and a great alternative to Greece and Italy, with Dubrovnik as the country’s most popular destination, thanks in part to the filming of The Game of Thrones. Surrounded by gargantuan fortress walls, Dubrovnik sits along the Adriatic Coast and became a UNESCO World Heritage Site in 1979. Today, it is one of the best cities to visit in the Balkans! And while here, one of the best things to do in Dubrovnik is taking the Dubrovnik Cable Car up Mount Srd for amazing views over the town! Just a stone’s throw away from Stuttgart is one of Germany’s best preserved Medieval towns located along the German Timber-frame Road. 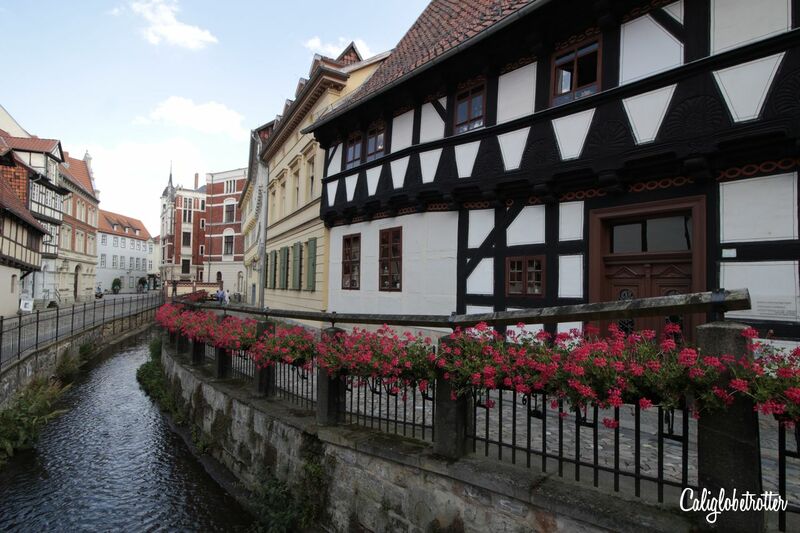 The charming half-timbered town of Esslingen am Neckar is beautifully surrounded by rolling vineyard hills, while in town, romantic cobble-stone alleys lead you to whimsical fairy tale corners. 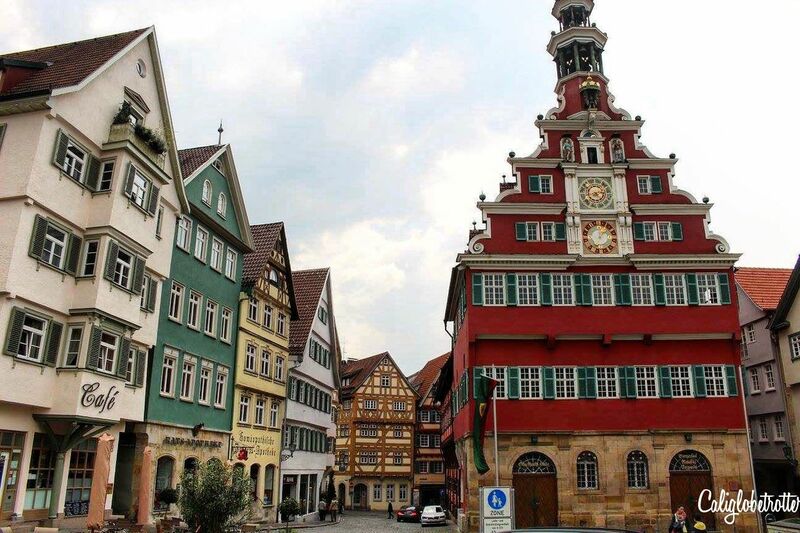 The town is home to over 200 historic half-timbered houses and are some of the oldest inhabited buildings in Germany! But what draws people here is the impressive Renaissance City Hall, one of the most stunning city halls in Germany, as well as the country’s best Medieval Christmas Market! When it comes to Belgium, people often ask which is the better option, Bruges or Ghent? The answer is both. 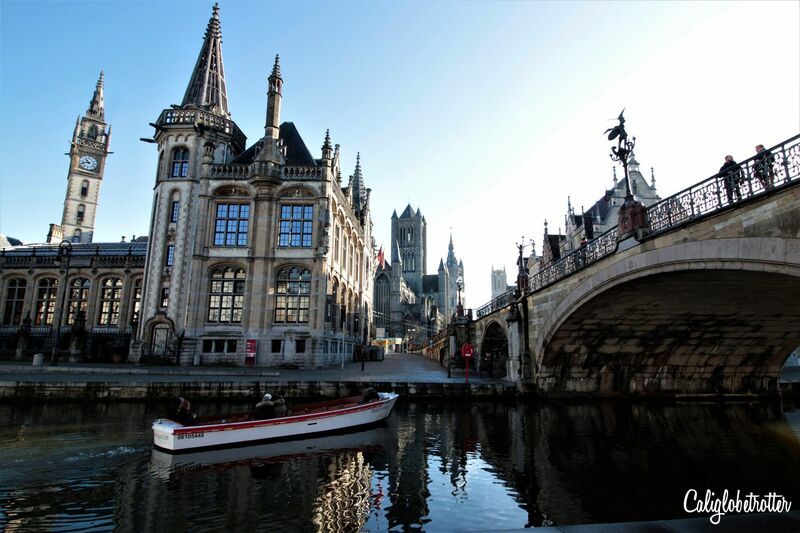 If you’re looking for a small town with a big city feel, relaxed, modern and hip but still holds on to its historic past but still slightly under the radar, then Ghent is the best option. But if you’re looking for that ridiculous small town, fairy tale charm with romantic canals, then Bruges is right for you. But you can never go wrong with Ghent with the medieval Gravensteen Castle right in the middle of town and walking along the stunningly beautiful Graslei and Kornelei embankments. If ever I hit the jackpot in finding a town with a plethora of beautiful half-timbered houses, then Goslar is the creme of the crop! With over 1,800 timber-frame houses, Goslar is as pretty as they come and is without a doubt one of the best cities to visit in Northern Germany. Having gained immense wealth from the local mines, the town prospered and earned its nickname as “the treasure chest of the North”. Some of the Goslar’s points of interest include the Old Town Hall, the Glockenspiele as well as the Kaiserpfalz. 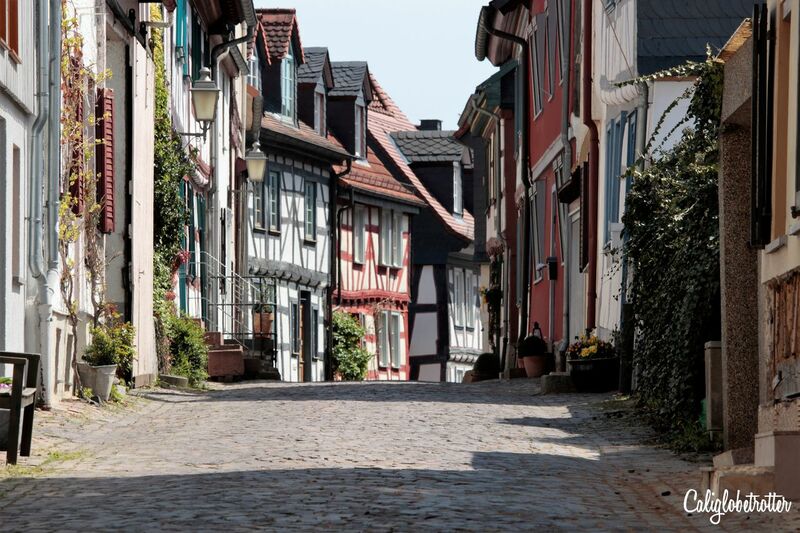 But do get lost down one of the many pretty half-timbered streets once inhabited by miners. 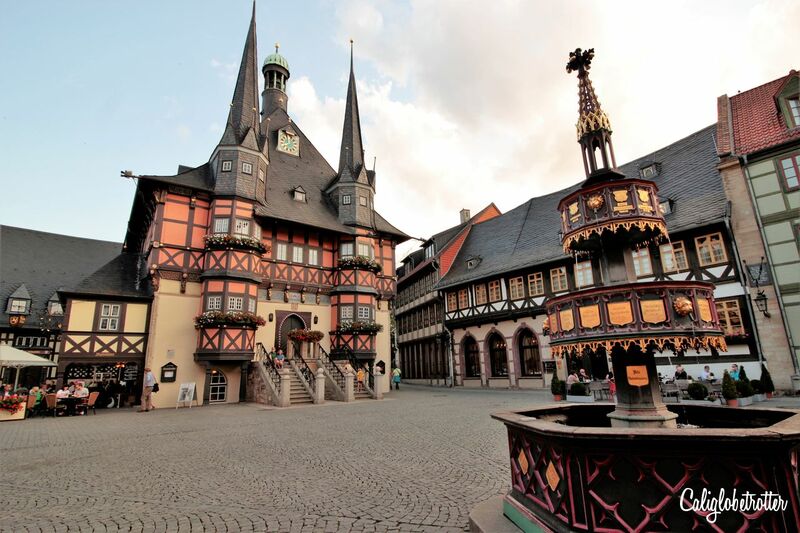 And when here, don’t forget to visit Wernigerode and Quedlinburg! 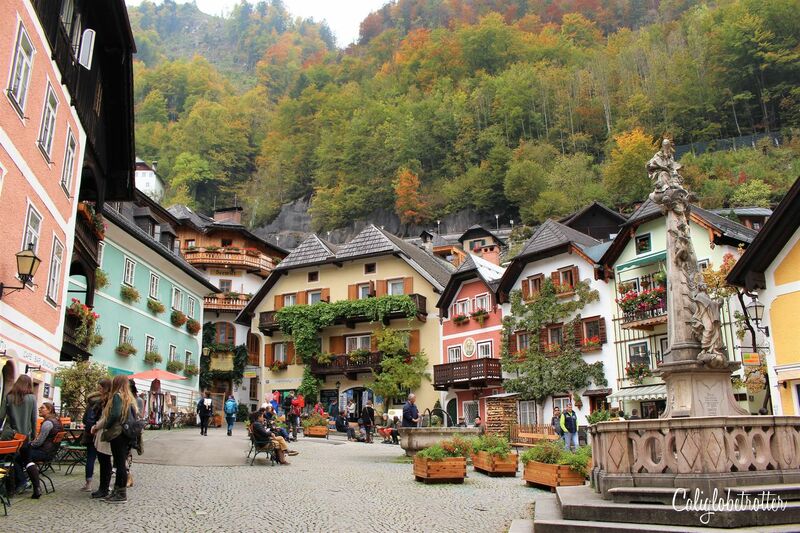 Without a doubt, Hallstatt is Austria’s most prized possession and no matter the season, this quaint little town along the shores of Lake Hallstatt in the Salzkammergut is always worth the visit! Covered in snow, sunny in the summer or even in the bloom of fall foliage, Hallstatt is a beautiful place to stroll around or take a paddle boat around the lake. It is THE ultimate day trip from Vienna and while here, be sure to take the Salzwelten Cable Car which takes you up to the world’s oldest salt mine! 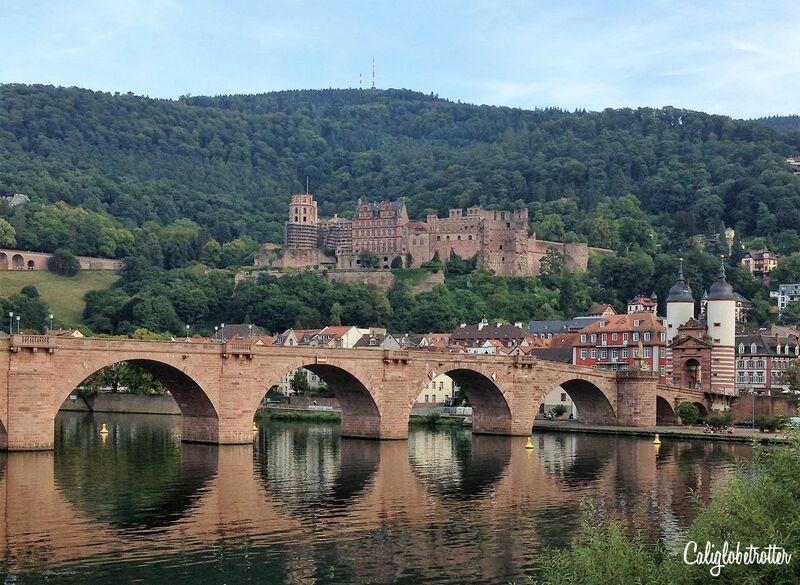 Nestled along the Neckar River, Heidelberg is one of the most classic stops for anyone doing a European tour for those who are hopeless romantics. Some of the greatest poets wrote about Heidelberg’s immaculate beauty which naturally brought fame to the pink sandstone town! Today, as one of Germany’s best university towns, a weekend trip to Heidelberg will be filled with many things to do, from strolling along Hauptstraße, hiking Philosophenweg or even exploring Heidelberg Castle. There are endless possibilities for romance to bloom in one of Germany’s most popular towns! The Heidelberg Christmas Market is an added bonus and best of all, it’s an easy day trip from Frankfurt! 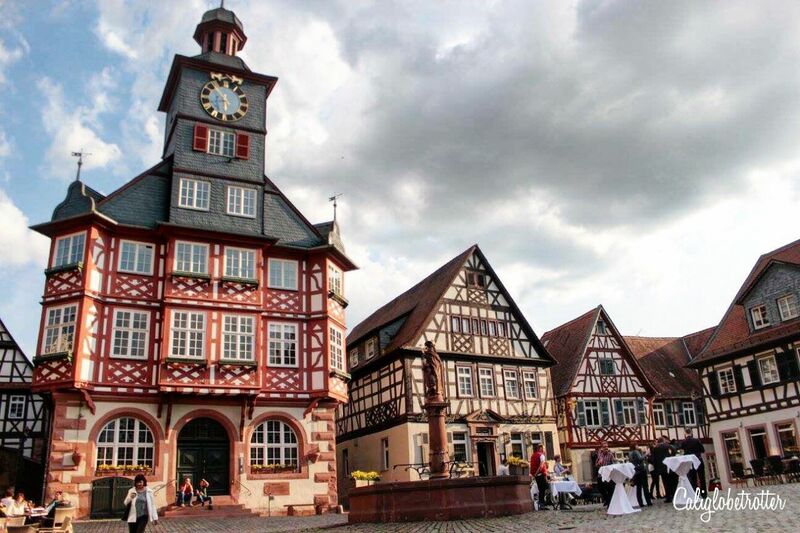 Located along the Bergstraße on the edge of Odenwald in Hesse, to visit Heppenheim will feel like the epitome of a pop-up Disney book with with über small town charm and cuter than cute half-timbered houses and an easy on the eyes City Hall! What makes this town so special are the unique lamp posts scattered throughout the town which tell the tales of the town and surrounding area! Be sure to do an evening walking tour to find out more or check out the Bergstraße Cathedral! 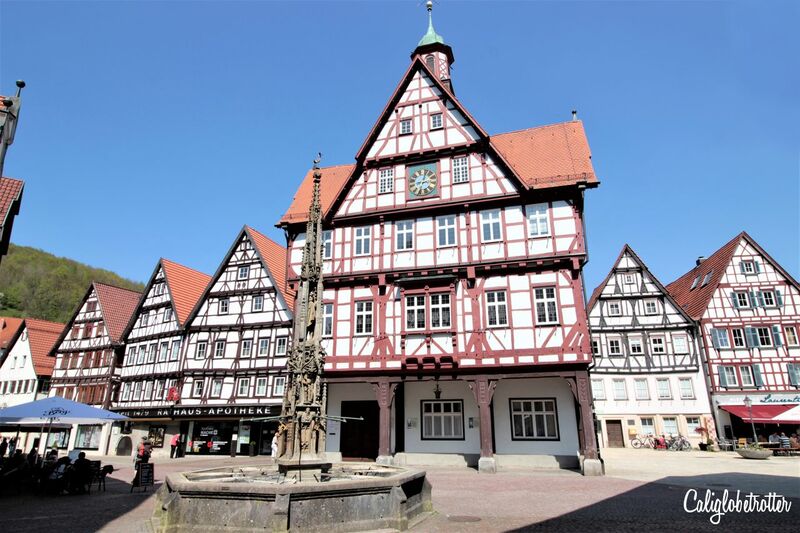 If you’re looking for adorable day trips from Frankfurt, then consider a drive to Idstein, a perfectly preserved half-timbered town along the Deutsches Fachwerkstraße (German Timber-frame Road). 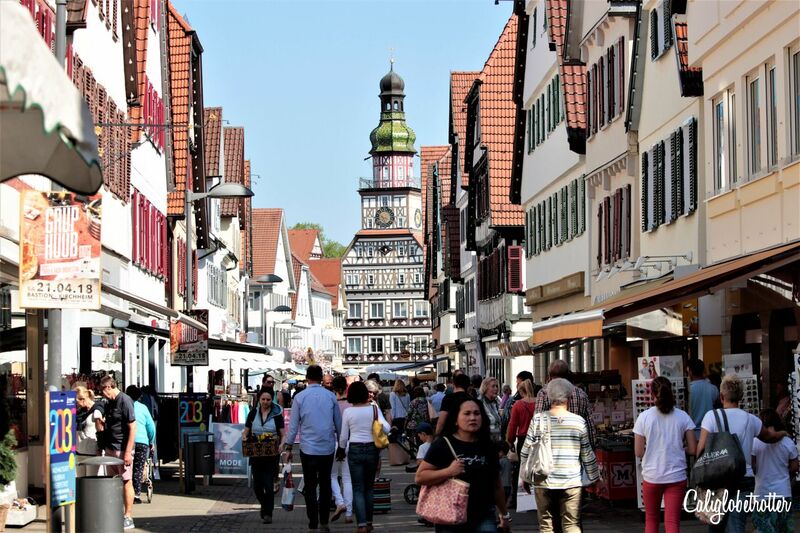 What attracts day trippers here is the quaint market place dominated by the Killingerhaus, one of Germany’s most important timber-framed houses as well as one of the loveliest. Just caddy-corner, you’ll find the vibrant Crooked House (das Schiefes Haus) backed by Kanzleitor castle. The town is also renowned for its infamous Witch Trials during the 17th century. 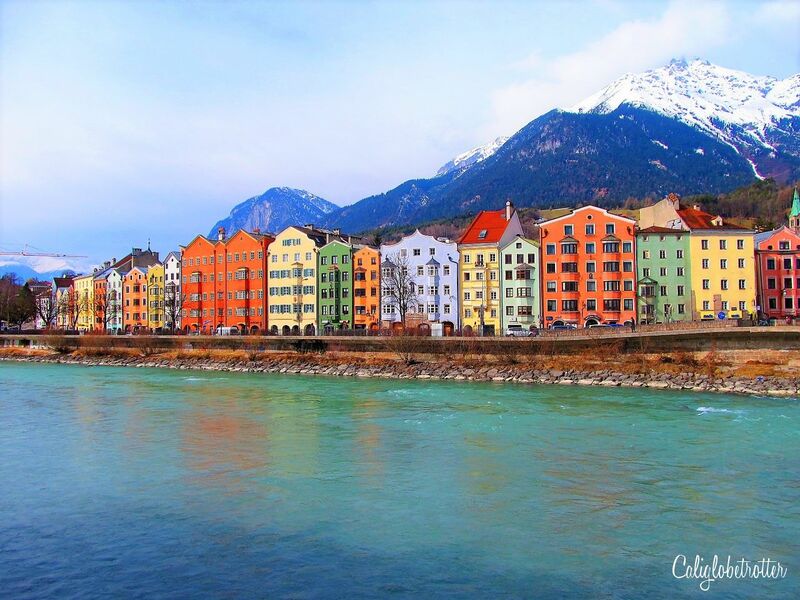 Nestled in the Tyrolean Alps near the border to Germany is Austria’s most colorful town, Innsbruck backed white capped Alpine peaks. Gently streaming through the town is the absurdly crystal clear, turquoise Inn River lined with an explosion of colorful Renaissance style homes along the river making for an insanely picturesque town. In the town center, more vibrant buildings are scattered throughout, some painted with Lüftmalerei while the Stadtturm (City Tower) stands proudly, enticing one to climb it for unparalleled views over the town. Just a short day trip from Stuttgart or Ulm, Kirchheim unter Teck is one of Germany’s unknown gems, scattered with half-timber framed houses and one of Germany’s unique city halls. Sat dominating the northern end of the Marktstraße, the timber-framed Town Hall stands tall but what truly makes it special is that every Saturday, a four-person brass band emanates sweet melodies from each side of the tower, a tradition which dates back to 1524! Come here to enjoy an ice cream or a Saturday spring market or simply to admire one of Germany’s fairy tale towns! What could sound better than Venetian architecture, cobble-stoned alleys and Medieval fortress walls backed by rugged mountains and sat at the end of a ria, a fjord-like bay? Not much? 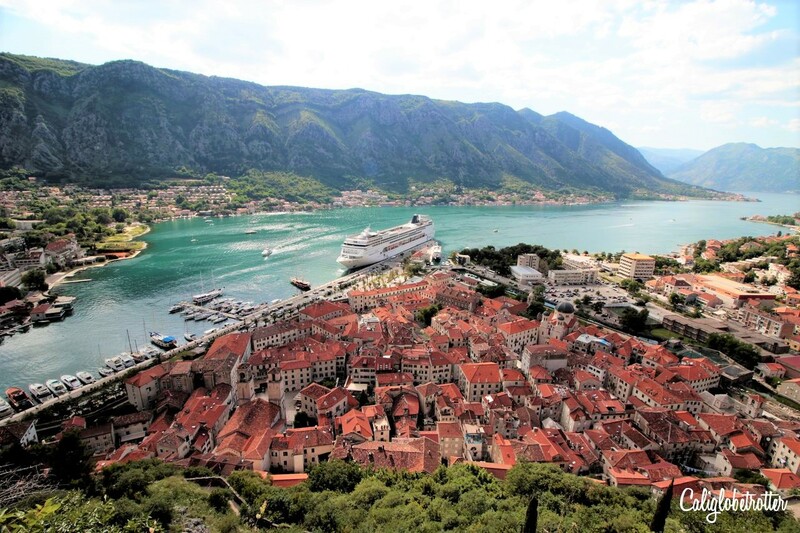 As Montenegro’s most popular city, Kotor is popular with cruise ship goers but a longer stay can offer pleasant strolls through the town and a chance to take advantage of one of Europe’s best hikes, hiking to the Castle of San Giovanni and the fortress walls. 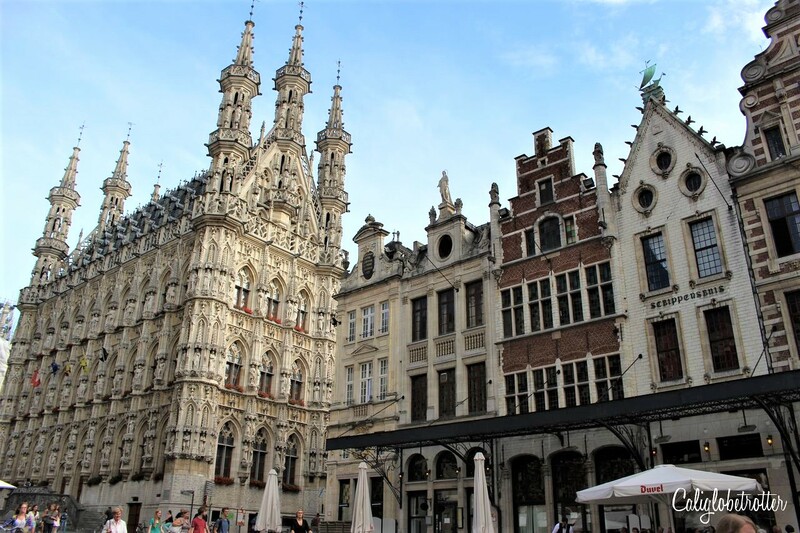 Quite possibly one of the most rewarding day trips from Brussels is the small university town of Leuven. But why should you visit? Of importance here is the awe-inspiring Leuven Stadhuis (City Hall) designed to show off the town’s wealth and status clearly displayed with its intricately carved facade. Dominating the Grote Markt (Main Square), lovely 17th century gilded houses with cafes and restaurants beg you to enjoy the city hall’s beauty. Just around the corner is the Oude Markt (Old Market) which is often nicknamed as the “Longest bar in the world” as here, you’ll find all the university students and tourists mingling between bars. One of Switzerland’s most beautiful cities, Lucerne is centrally located making it an easy day trip from Zurich or Bern. 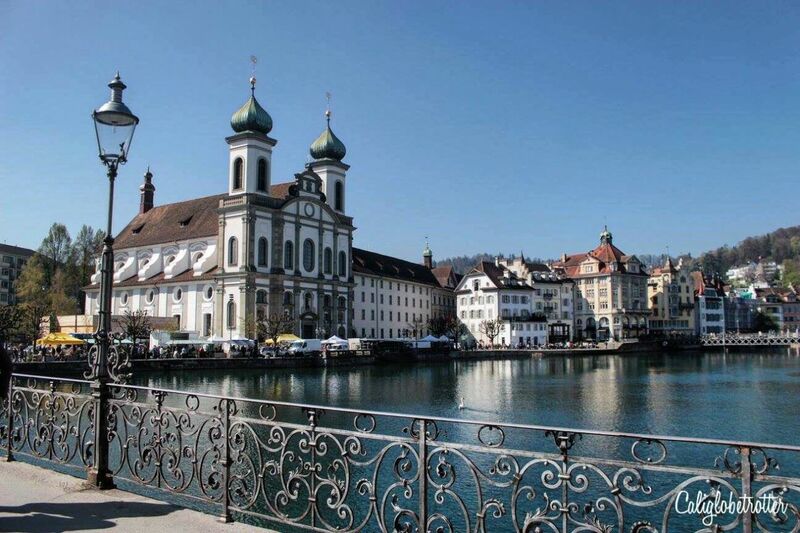 While there are many beautiful sights to see in Lucerne, the most iconic one is the Kapellebrücke (Chapel Bridge) which stretches across the Reuss River which feeds into Lake Lucerne. And while here, it’s an absolute must-do to take a boat across the stunning Lake Lucerne, and if I can press upon you, take a cogwheel train up to Mount Rigi-Kulm for amazing panoramic view across the region. And when in Switzerland, eat as much fondue as possible! Not directly on the German Timber-frame Road, but close enough if you’re exploring it, Michelstadt is yet another of my beloved half-timbered towns in Germany that I love so much! What drew me here though was the town’s historic Rathaus which dates back to 1484, making it one of the oldest city halls in Germany! It’s so old in fact that it once had the privilege to be on a stamp! Though there aren’t many things to do in Michelstadt, there is a quaint little biergarten to enjoy! 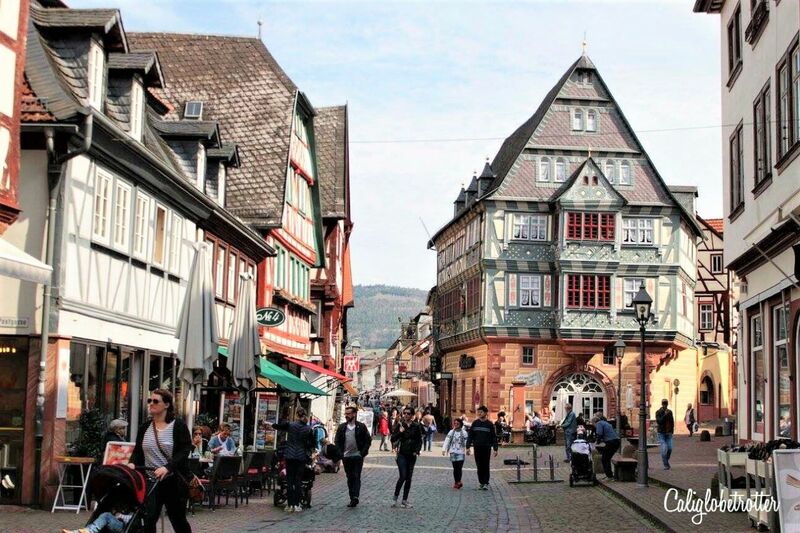 Snuggled up against the Main River, Miltenberg is once again an adorable half-timbered town, littered with over 150 timber-framed houses, some of which are some of the oldest in Germany! When taking a stroll down Hauptstraße, you’ll notice dates on many of the buildings as well as catching a glimpse of Hotel zum Riesen, Germany’s oldest inn dating back to 1411! If you have time, book a night here and stay where Elvis Presley stayed! 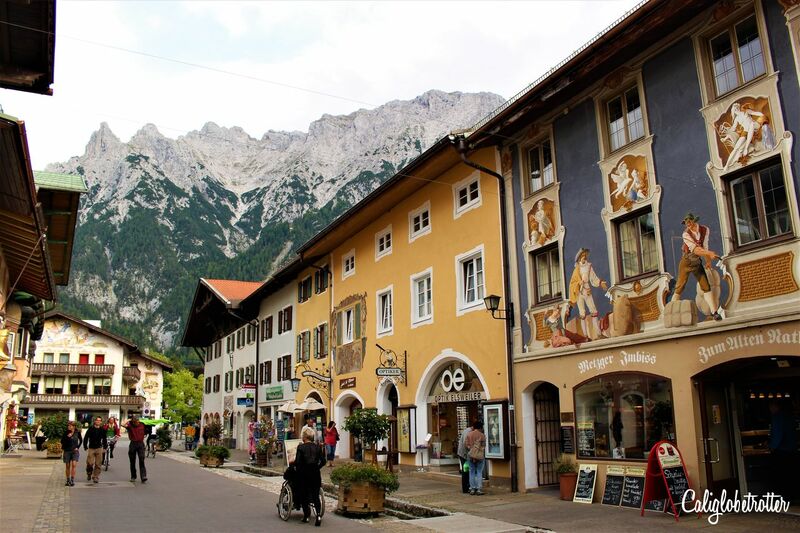 Close to the border between Bavaria and Austria, is the charming town of Mittenwald, beloved by many for its “Lüftmalereien” (frescoes) on the outer facades of the town’s historic buildings. Backed by the steep slopping Bavarian Alps in the distance, Mittenwald is a popular day trip from Munich. Mittenwald and is a great place to escape from city life, especially if you’d like to do a bit of hiking. Not far from the town is the Leutasch Spirit Gorge (Leutasch Geisterklamm), a family-friendly hike for all ages! Nestled right on the border to Belgium, in the North Eifel is one of the most adorable half-timbered towns in Germany you’ll ever come across! Just an easy day trip from Aachen, Monschau often rivales Rothenburg ob der Tauber for the title of “most beautiful”. Monschau is a quaint little town that has been preserved in time and is practically exactly as it was 300 years ago making it 100% totally Instagrammable. It’s one of the few German towns that escaped the Great Wars unscathed and each nook and cranny of this town is even more picturesque than the last. While a visit to Mostar is not exactly at the top of everyone’s list, and the entire town is not exactly picturesque, the historic old town has been beautifully restored to its former beauty, as it was prior to the Balkan War, thus Mostar makes the list! 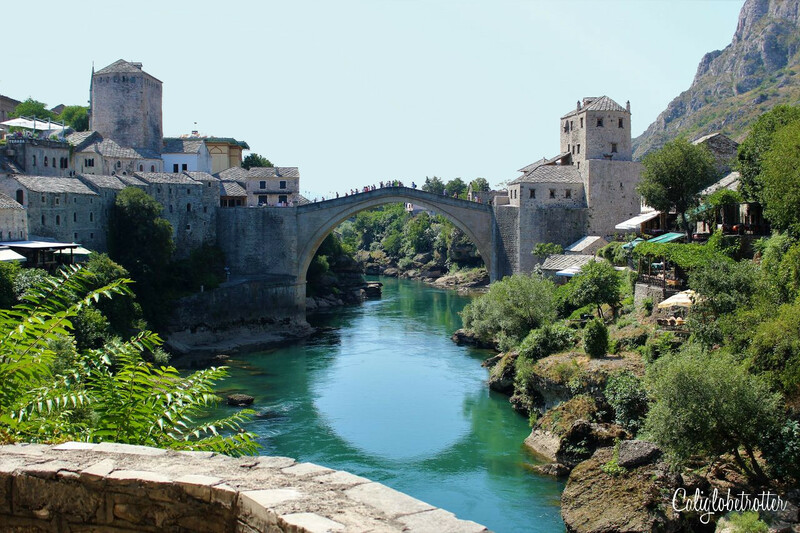 With the stunning Old Bridge (Stari Most) gallantly stretched across the turquoise blue waters of the Neretva, Mostar is one of the best excursions from Dubrovnik or Split, Croatia. Stroll through the old town and peruse the Bazaar or watch divers spring from the Old Bridge into the river below, but no matter what you choose to do, a visit to Mostar will be one of the best cities in the Balkans to visit! 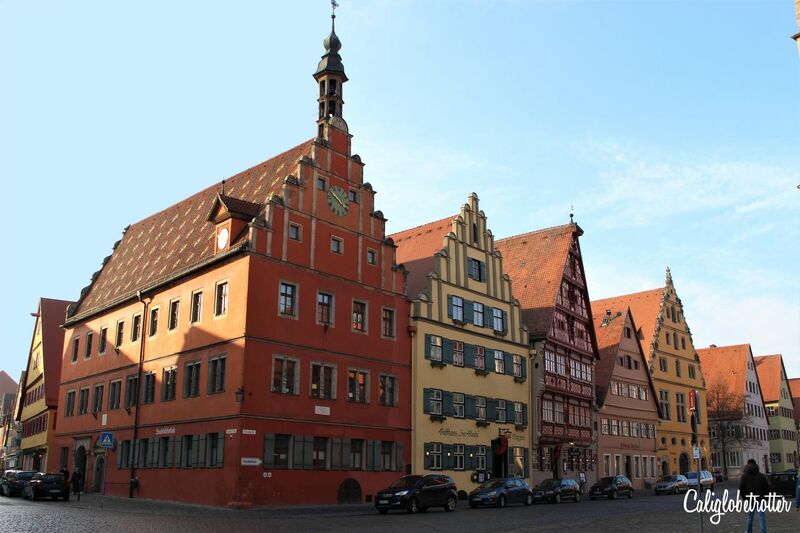 A third town in Germany surrounded by its Medieval walls, Nördlingen has a special characteristic about it. It would later be discovered in 1960 by two American scientists that the town was built in a large crater hole, known as the Nördlingen Crater, unbeknown to the townsfolk who built up the town. The town is scattered with some of the most colorful half-timbered buildings and one of the best things to do in Nördlingen is walk along the Medieval walls. 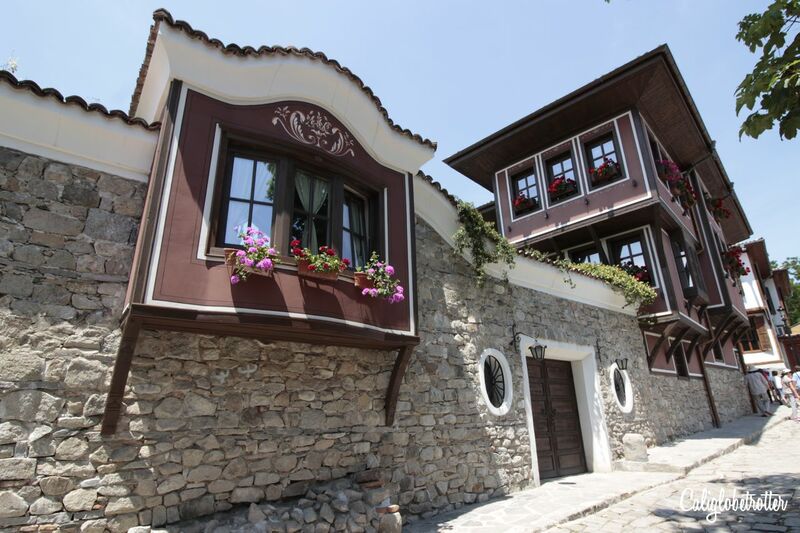 Stretching out into the Black Sea, along the Bulgarian coast is Old Nessebar, a small peninsula littered with stupid pretty Bulgarian National Revival houses. 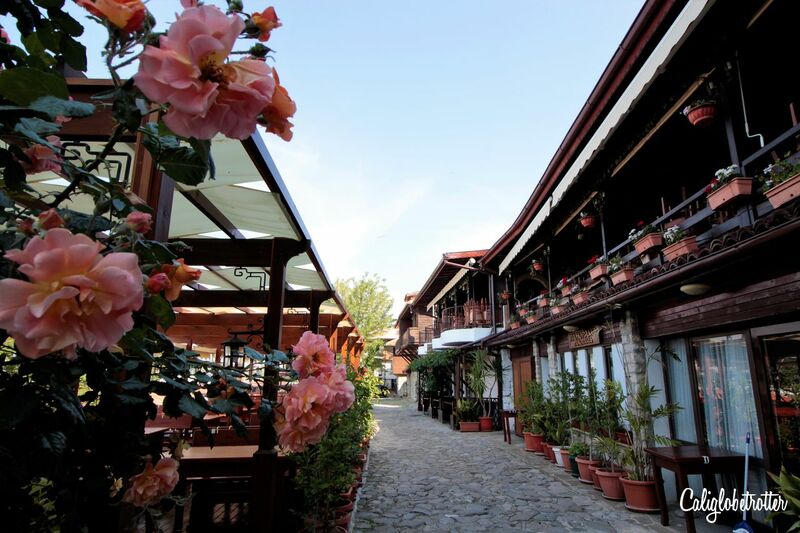 Known as the “Pearl of the Black Sea”, Old Nessebar is over 3,000 years old and is one of the prettiest beach towns along the Black Sea. Nearby you’ll find Sunny Beach, Bulgaria’s first and most popular beach resort summer destination. However, here you’ll find many ancient churches and cute little restaurants with stunning views of turquoise waters stretching as far as the eye can see, making for one of the top destinations in the Balkans! 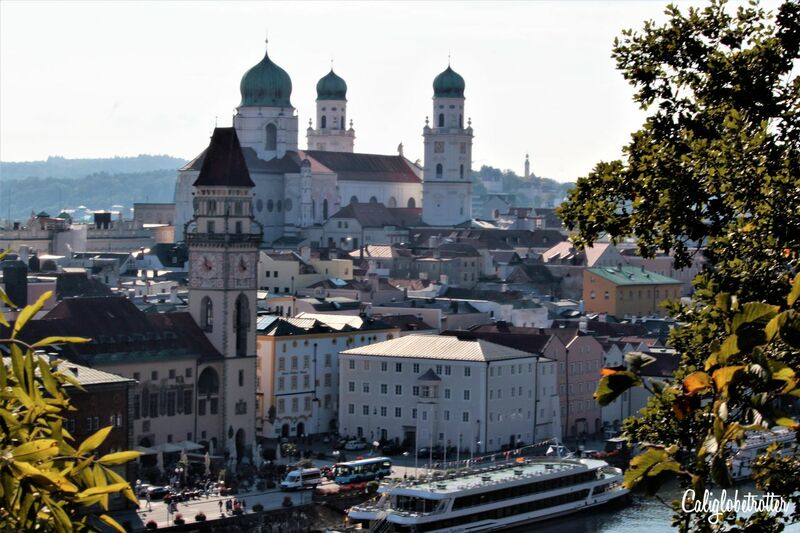 As one of the best cities in Bavaria to visit, what makes Passau so special is the fact that it stretches across the confluence of three rivers, the Inn, the Ilz and the Danube. When the city isn’t being threatened by high flood waters, Passau is a great day trip from Munich with much to do! Explore the Old Town, hike up to Veste Oberehaus for stunning views over the city or even enjoy an organ concert at St. Stephan’s Cathedral, home to the world’s largest cathedral organ. Best of all, Passau’s undeniable beauty comes from having been sparred any damage throughout WWII, thus is a town unlike many others. After all, how many towns can you say is literally built on a strip of land between rivers? Without a doubt my favorite city in Bulgaria, Plovdiv is one for the books! Recognized as the European Capital of Culture for 2019, the town has undergone extensive renovation to best showcase the town’s history and architecture. Considered to be the OLDEST city in Europe, Roman ruins are literally scattered throughout the town and in the least likely places! The town is a combination of all things modern and historic. While one quarter of town, “Kapana Creative District”, has been revamped into the hipster quarter of town with some great bars and bunting, another part of town is loaded in traditional Bulgarian National Revival architecture making it for one of the best places to stop along a Balkan road trip! If you’re interested in starting to explore Poland, then consider adding pretty, pretty Poznań to your Poland itinerary! 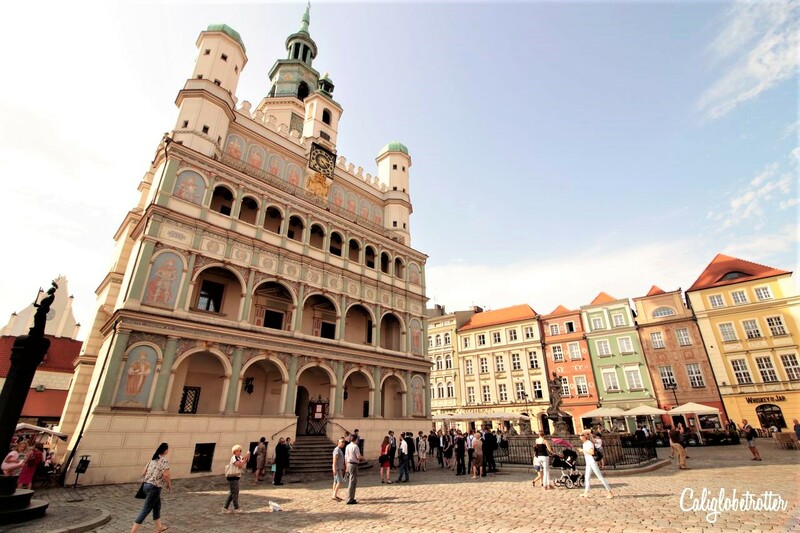 While Krakow and Warsaw are definitely more popular, Poznań is quaint and colorful and an easy day trip from Warsaw! Not only is the Town Hall incredibly pretty, but so is the Old Town Square, lined one pretty house after another, including the eclectic, mismatch, rainbow colored Merchants’ House. While the town is one of the most beautiful towns in Poland, the traditional Polish cuisine is equally as delicious as the eye candy! 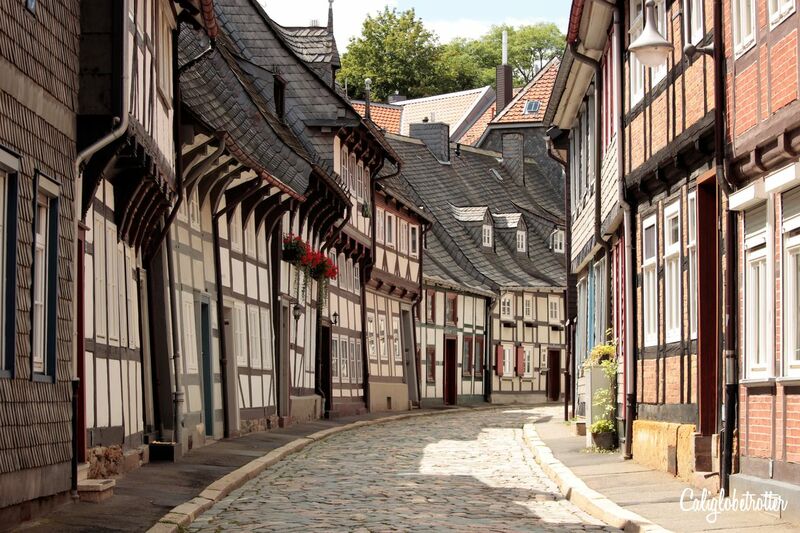 Not far from Wernigerode and Goslar, is yet another vibrant half-timbered town in the Harz region, Quedlinburg. As one of the best towns to visit in Northern Germany, Quedlinburg has many interesting sights to see and some pretty fascinating history! With a history stretching back to the 10th century, it’s not surprising that Quedlinburg is considered the first German capital! Like the former two neighboring towns, when in the Harz region, you should consider hopping aboard the historic steam trains which have been in use since 1898! 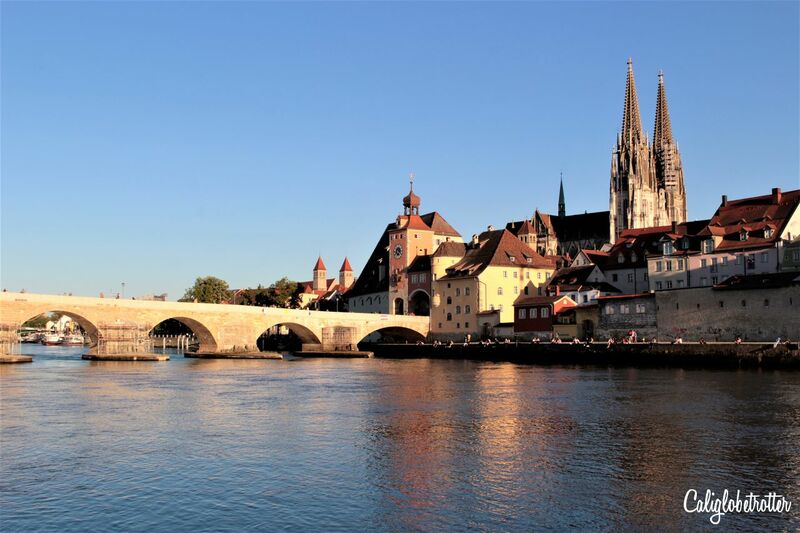 Visit Regensburg and you’ll feel like you’ve stepped back in the Medieval Ages with winding cobble-stones alleys lined with an array of colorful houses, all dominated by the impressive Regensburg Cathedral. 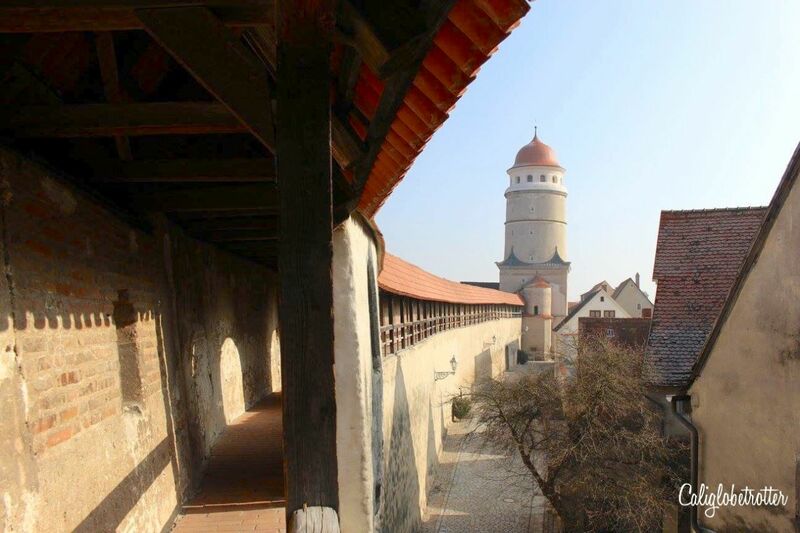 Conveniently located along the Danube River, the Crusaders once crossed via the Stone Bridge which dates back to 1135! Enjoy a beer garden along the river or sit down for some traditional Regensburger sausages and Händlmaier Senf (mustard) at the Wurstkuchl! Regensburg is one of the top destinations to visit in Bavaria which still holds on to its small town charm! Without a doubt, the most popular of the three German towns with Medieval walls, Rothenburg ob der Tauber is the epitome of fairy tale towns in Germany! 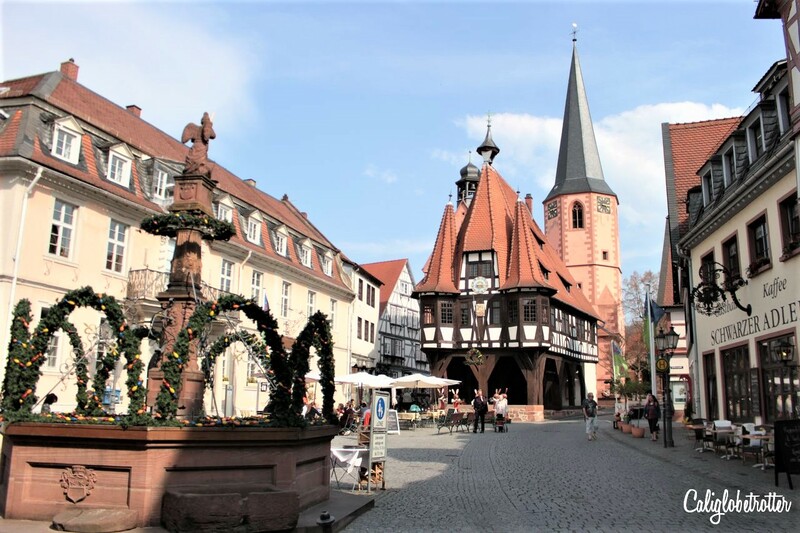 Colorful half-timbered buildings and city gates make this town such a charm and can be best explored by walking along the Medieval walls which offer stunning views over the town. 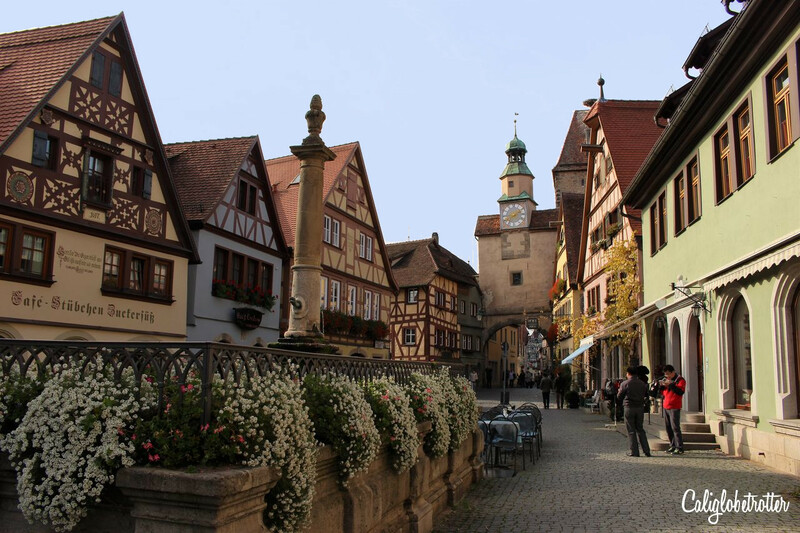 Unfortunately, the town was severely and unnecessarily destroyed during WWII but thanks to donations from around the world, Rothenburg ob der Tauber was beautifully restored to its former glory, making it once again one of the most beautiful half-timbered towns in Germany! Perched alongside the Rhine River, Rüdesheim am Rhein is one of the most popular tourist destinations when exploring the Germany’s wine region in the Upper Middle Rhein. If you’re a wino, then be sure to stop here to fill up on locally produced Riesling wines, preferably with a wine tour with Bottle Stops! 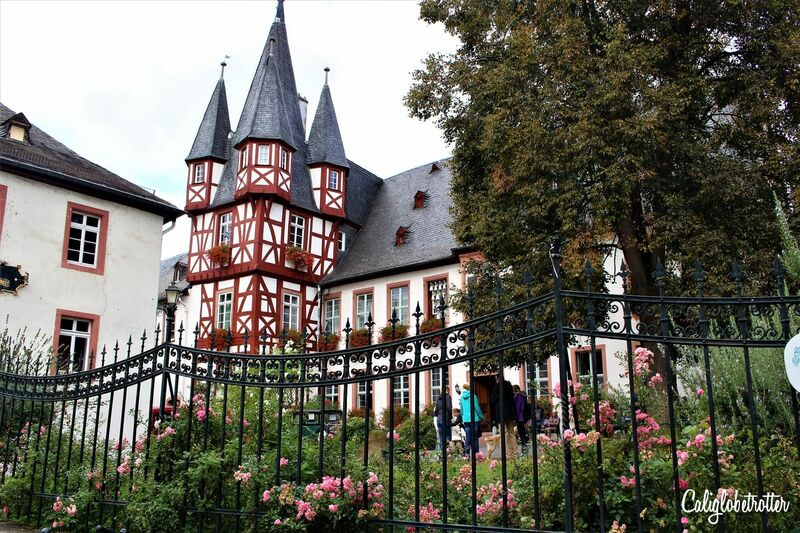 But please be sure to explore Rüdesheim’s picturesque half-timbered alley, Drosselgasse, or take a ride on the two-person cable car up and over rows and rows of vineyards to the Niederwald Monument! Many might ask, Innsbruck or Salzburg, but if you’re a fan of the Sound of Music, then you’ll likely want to frolic through the hills singing “The Hills Are Alive with the Sound of Music“, but there are so many more things to do in Salzburg than that! 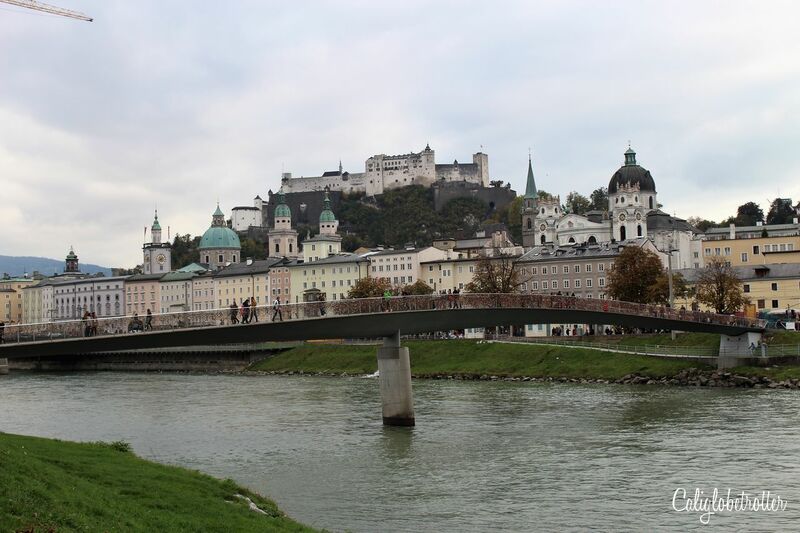 Starting with doing a SofM tour, or exploring the endless number of churches, walking along the Salzach River or heading up to the Hohensalzburg Fortress for amazing views over the city. But definitely consider enjoying a slice of cake at Cafe Sacher, one of the historic coffeehouses in Salzburg while you’re in one of the top cities in Austria! If you can’t decide between Strasbourg or Colmar, let me ease your mind. 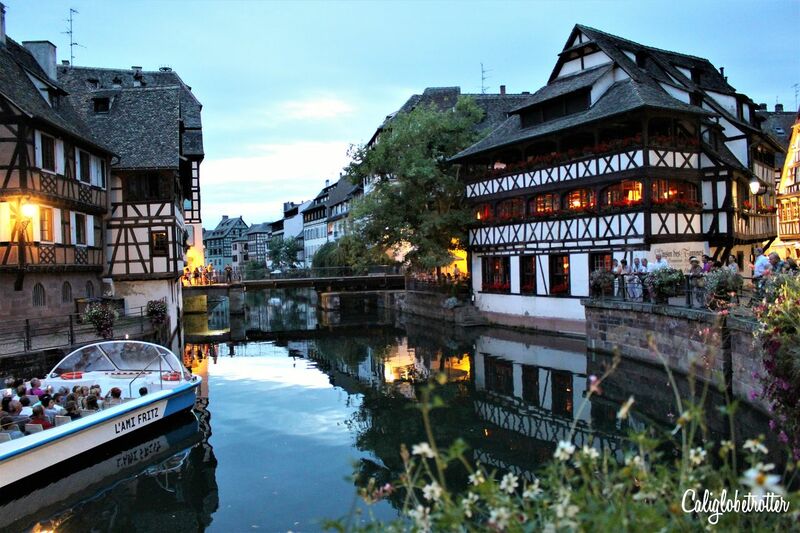 While Colmar is smaller, quainter and more colorful, Strasbourg is a hustle and bustle big city. Here, you’ll have the best of both worlds – quaint, picturesque quarters of town like Petite France while you also have endless shopping and dining opportunities, making for a great alternative to Paris! And towering over it all is the beautiful Strasbourg Cathedral, which I highly recommend climbing the church tower for stunning views over the city. But if you’re looking for the most magical time of year to visit Strasbourg, then consider visiting when the Strasbourg Christmas Market is in full swing! Not far from Budva, along the Budva Riviera is an undeniably beautiful islet called Sveti Stefan, stretching out into the Adriatic Sea that it seems it can’t possibly be real. However, I’m happy to report that it is, and made for a lovely afternoon sprawled out on the luxurious private beach with the islet off in the distance. Though, this private islet is actually a 5-star luxury hotel, it is possible to still have a glimpse, if you have the know how! Nonetheless, with or without actually stepping foot on the islet, Sveti Stefan is one of the best places to see in Montenegro when doing a road trip through the Balkans! If you’re looking for an alternative to Amsterdam, Utrecht is a great choice as it’s a quainter version of the capital and far less crowded. As one of the prettiest canal cities in Europe, there are plenty of things to do in Utrecht from climbing St. Martin’s Cathedral tower to enjoying a drink in a converted church bar! 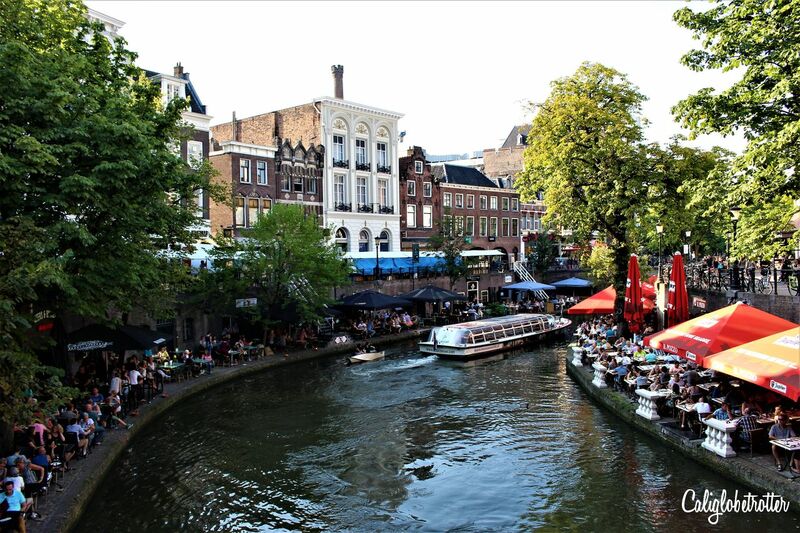 Though to be honest, one can never have enough of Dutch architecture or relaxing at one of the canal side cafes! By far my favorite half-timbered town in Germany, Wernigerode is nicknamed “the colorful city in the Harz”, with rows and rows of beautiful timber-framed buildings. But why visit if it’s just another half-timbered town? Not just because it managed to survive WWII with little to no damage, but because the historic ochre colored, twin-spired town hall is absolutely stunning, while the town is also home to Germany’s smallest house. Another of Wernigerode’s main sights is the Wernigerode Castle, perched on a hill overlooking the town and trust me when I say, Wernigerode is one of the best towns to visit in Northern Germany! When here, don’t miss Goslar and Quedlinburg! Though it’s hard to pick a top city to visit in Poland as they’re all equally exciting, I would personally say that Wroclaw tops my list! Though it took longer to renovate the city than others, it was well worth the wait! 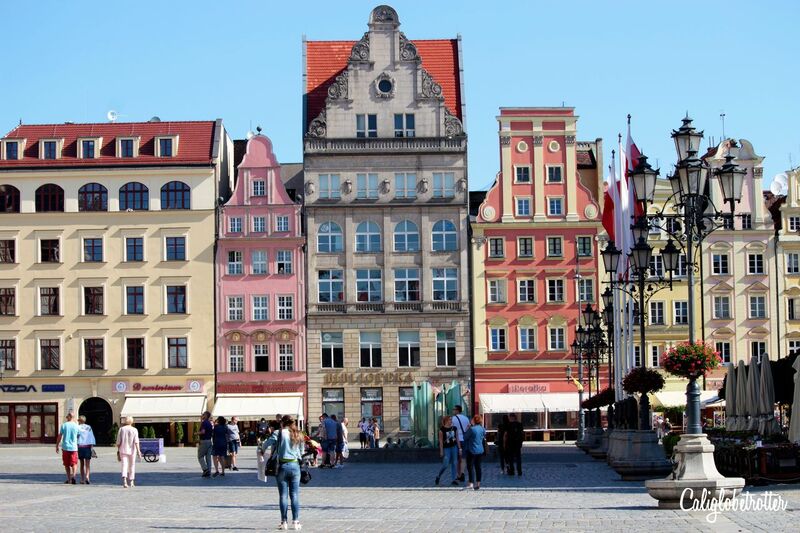 With colorful buildings surrounding the Main Market Square, Wroclaw is definitely as pretty as they come. And while there are many sights to see in Wroclaw, one of the best things to do here is actually hunting for cheeky little gnomes which are scattered all over the city making Wroclaw even more adorable than one thought possible! Trust me when I say that Wroclaw is one of the best family-friendly cities in Europe! Located at the starting point of Germany’s Romantic Road which stretches from Würzburg to Füssen, Würzburg is one of the best cities in Bavaria to visit with endless red roofs surrounded by rolling hills lined with vineyards! As the wine capital of Bavaria, one comes here not just for the pretty town but for the good wine, with unlimited amounts of wine festivals every year! One of the best things to do in Würzburg is walking up to the Marienburg Fortress which offers stunning panoramic views of the entire town! If you’re looking for some pretty towns in northern England, then consider a visit to York. Famous for its Medieval wall which encircles the town, as well as one of the most picturesque streets in the city known as the Shambles, York is a great alternative to London! Pop into The Earl Grey Tearooms in the Shambles if you want an amazing afternoon tea in York! 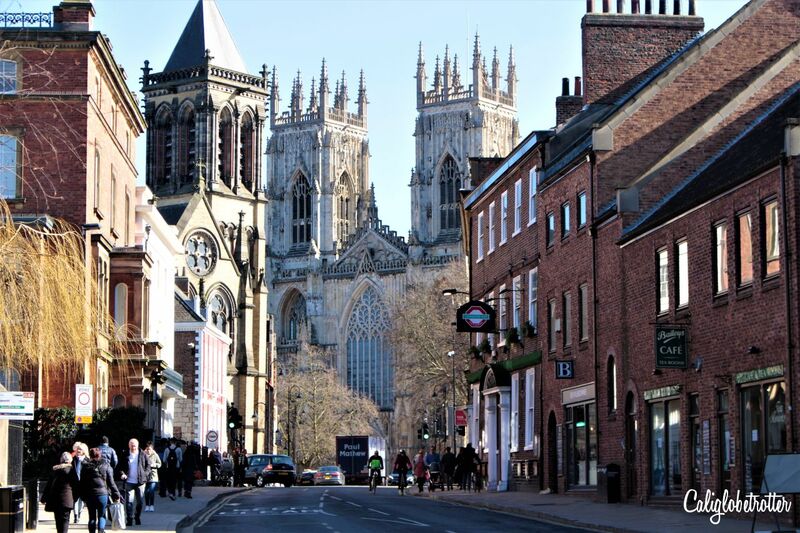 However, one of the main attractions in this beautiful city is actually the York Minster, the largest medieval cathedral in Northern Europe! Last, but not least, Zaanse Schans! Though it is not an actual town, it is a collection of traditional Dutch windmills from all over the Netherlands. At one time there were thousands scattered across the country, but here you’ll find the last 17 windmills from the 18th and 19th century. 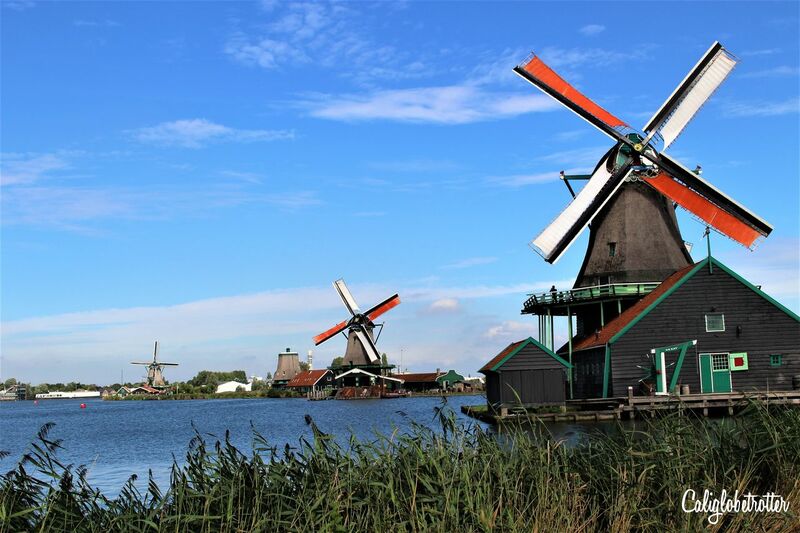 Pop into several and see how the windmills work and peak inside the historic homes alongside to see how previous generations lived and worked, as well as learning about the fascinating clogs they wore as shoes! You’ll be happy that you came, as it’s one of the best day trips from Amsterdam! 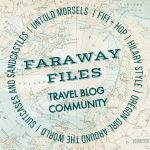 So, if you’re not satisfied with my little list of 50 of Europe’s best towns and cities, then I don’t know what will satisfy you! However, all I can say is check back regularly and see if a city or two has been added to the list because the journey to discover the cutest damn towns in Europe is never over and I shall not cease until I have seen as much as I possibly can! If you’re interested in visiting Europe and are looking for more information, I highly recommend using the DK Eyewitness Travel Guide: Europe and Lonely Planet! Without these guides, I would be lost! These are my travel Bibles! 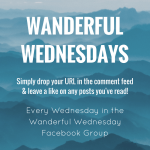 Loved this post? PIN IT FOR LATER!! You included Utrecht!!! Love, love. How could I not like this list!! Utrecht is über pretty!! Wish I could have visited longer! Oops! Sorry… not sorry to further encourage your travels! Hahaha, I welcome all opportunities for more travel! My favourite on the list are Zaanse Schans, Bruges, Mostar and Monschau, but here are many I haven’t seen yet. Ghent is AMAZING!!!! I loooove it! Oh, so many of these are on my list. I really fell in love with smaller towns on this last trip. I really want to visit Montenegro, Croatia, and Slovenia. Maybe that should be our next road trip. I wouldn’t necessarily object to a road trip through all these German towns, too. We drove through some really cute ones… ahhh, there’s so much to see and so little town. The small towns in Germany intrigue me especially because we are planning to train from Bruges to the Swiss Alps with a few days somewhere in Germany. I’m thinking Heidelberg, with a day trip to one of the smaller towns. Pinned this for travel planning! Heidelberg is ALWAYS a great choice!! I love that these are some lesser known towns in Europe, yet just as gorg as the famous ones! 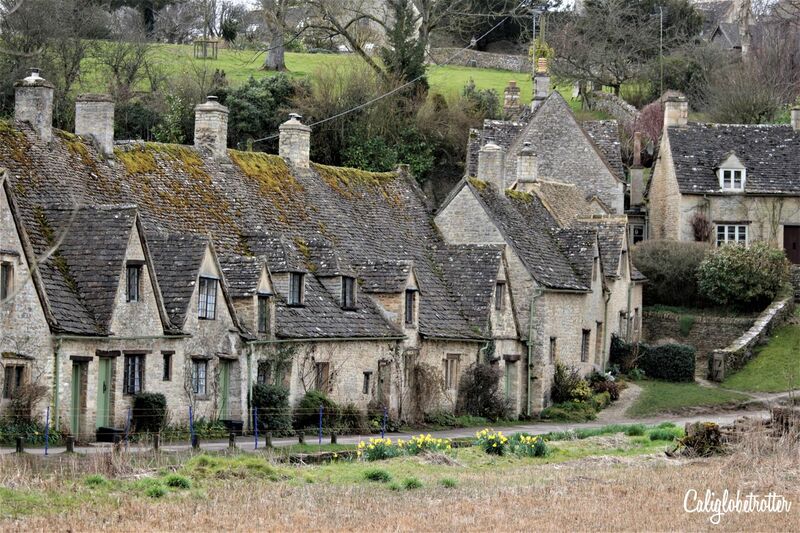 I can personally attest that Bibury is sooooo beautiful!! There are some wonderful photos here and they all make me want to jump on a plane! You’ve shared a couple of places in the UK though that I’ve never been to, so I’ll put that plane on hold and have an explore at some of the lovely little places closer to home first! 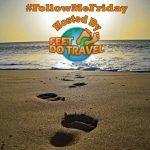 Thanks for sharing this ‘#feetdotravel and showing just how wonderful and diverse Europe is! Wow what a fantastic list! The clear winner is Germany 😀 So many beautiful towns in Europe, and so much more to visit. That’s why I love living in Europe. I am waiting for summer so that I can start exploring some more towns! So pretty! And reminds me that I have so many that I’ve yet to see! Those really are some very pretty towns indeed. And worryingly I have only been to one (1) of the – Saltzburg. Better get a move on! I would be a dream to visit to visit all these towns. They are so lovable. Sometimes, I prefer places like this. There are some pretty towns in Spain too. I want to visit the ones in the northern coast. I don’t even know where to start!!! So far I’ve visited less than a half of your list! I’ m mostly excited to visit those in Germany though! It’s can be a bit overwhelming to think of all the places to visit in the world but, with one trip at a time, it’s possible!